The Town is seeking proposals for the supply and installation of a Direct Digital Control (“DDC”) system at the building, also referred to as the Sonora Community Center, located at 8505 - 68 Avenue, Osoyoos, BC, V0H 1V0. The Contractor shall supply and install a complete Direct Digital Control (DDC) Building Automation System (BAS) as required to accomplish the Sequences of Control for heating, ventilating, air-conditioning and other building-level equipment and systems as described herein. Furnish all labor, materials, equipment and service necessary for a complete and operational DDC BAS. The successful Proponent will be the Prime Contractor for this project. Coordinate the existing conditions and requirements of all mechanical and electrical equipment that will be controlled by the DDC BAS. All labor, material, equipment and service not specifically referred to in this specification or on associated drawings that are required to fulfill the functional intent of this specification shall be provided at no additional cost to the Town. 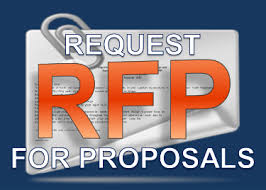 Request for Proposal Documents can be found electronically by clicking here and/or on BC Bid.